Showing results by narrator "Emily Nagoski"
Burnout. Many women in America have experienced it. What’s expected of women and what it’s really like to be a woman in today’s world are two very different things - and women exhaust themselves trying to close the gap between them. 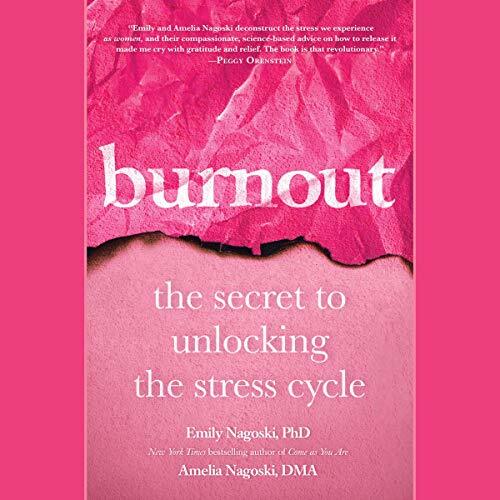 Sisters Emily Nagoski, PhD, and Amelia Nagoski, DMA, are here to help end the cycle of feeling overwhelmed and exhausted. Instead of asking us to ignore the very real obstacles and societal pressures that stand between women and well-being, they explain with compassion and optimism what we’re up against - and teach us how to fight back.